Eagleman Construction Ltd. is a full service construction and landscaping company proudly serving Toronto and the Greater Toronto Area (GTA) since 2000. Eagleman Construction Ltd. believes in diligent, honest and clean work. From our inception we have worked to bring the landscaping designs of our customers to life through our knowledge and expertise in the stone, cement and asphalt business. Our success in the industry is based on the satisfaction of our customers and for this reason we fully guarantee all our work. If you’re looking for “old world” strength and durability coupled with new age materials and asthetics we offer our services in Toronto and the surrounding area. Eagleman Construction is a locally owned and operated, full-service asphalt, interlocking and concrete company. 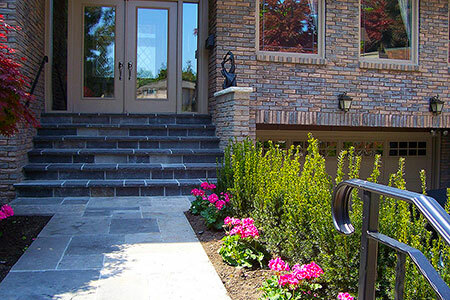 For more than 35 years, we have provided outstanding installation, paving, and maintenance services to the GTA area. We are providing certified commercial and residential concrete paving services in the GTA area. Get free affordable estimates on asphalt driveway costs, concrete paver costs, excavation & major home improvement pricing.